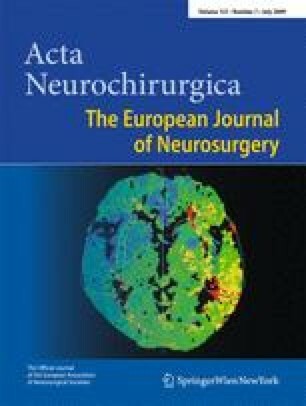 Groups performing deep brain stimulation advocate post-operative imaging [magnetic resonance imaging (MRI) or computer tomography (CT)] to analyse the position of each electrode contact. The artefact of the Activa 3389 electrode had been described for MRI but not for CT. We undertook an electrode artefact analysis for CT imaging to obtain information on the artefact dimensions and related electrode contact positions. The electrode was fixed on a phantom in a set position and six acquisitions were run (in-vitro study). The artefacts were compared with the real electrode position. Ten post-operative acquisitions were analysed (in-vivo analysis). We measured: H (height of the lateral black artefact), D (distance between the beginning of the white and the lateral black artefacts) and W (maximal artefact width), representing respectively the lengths of the four contacts and the electrode tip and width of the contact zone. A Student t-test compared the results: in vivo vs in vitro and coronal vs sagittal reconstructions along the electrode. The limits of the lateral black artefact around the electrode contacts corresponded to the final electrode position. There was no significant difference for D (in vivo, 1.1 ± 0.1 mm; in vitro, 1.2 ± 0.2 mm; p = 0.213), while W and H differed slightly (in vivo, W = 3.3 ± 0.2 mm, H = 7.7 ± 0.2 mm; in vitro, W = 3.1 ± 0.1 mm, H = 7.5 ± 0.2 mm). Results obtained with sagittal and coronal reconstructions were similar (p > 0.6). Precise three-dimensional (3D) localisation of the four-contact zone of the electrode can be obtained by CT identification of the limits of the lateral black artefact. The relative position of the four contacts is deduced from the size of the contacts and the inter-contact distance. Sagittal and coronal reconstructions along the electrode direction should be considered for the identification of the four electrode contacts. CT offers a useful alternative to post-operative MRI. The need to correctly identify the area actually being stimulated with DBS, instead of the position of the intended target, is becoming more and more appreciated. In order to achieve this, it is necessary to determine the exact position of each of the electrode contacts from postoperative imaging. This seems most often to be performed with MRI. Since this method is not without certain dangers and inconveniences, it might be preferable to perform this analysis with CT. Even though CT has been used before for identification of the contact position, this has been done on the assumption that the tip of the electrode is corresponding to the tip of the artefact, and the centre of the white artefact to the centre of the electrode, as seen on the CT investigation. Hemm and co-workers have in this paper provided a valuable analysis of the relationship between the electrode position and the artefact on CT. Their findings demonstrate that the position of the electrode contacts can be deduced from a postoperative CT. I believe this study to be a welcome contribution.